Did you know 90 percent of consumers read online reviews before visiting a business? Or that 84 percent of people trust online reviews as much as a personal recommendation? As an entrepreneur, these stats tell you one thing: online reviews can make or break your business. 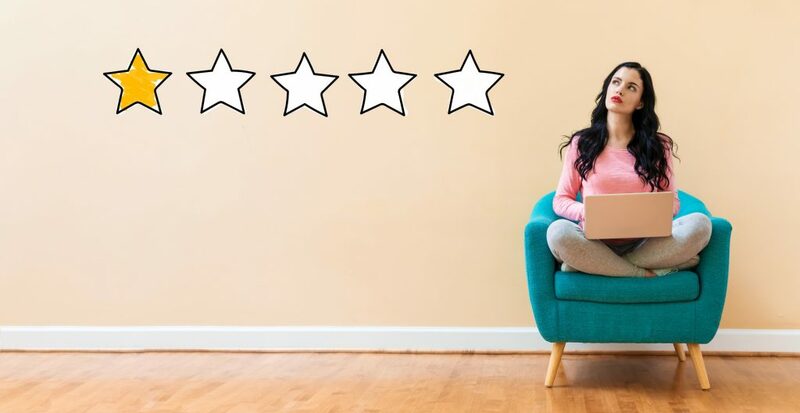 While positive reviews will improve your search engine ranking and keep sending customers to your business, negative reviews will do the exact opposite. If your business has already racked up bad reviews, you need to act before it’s too late. Keep reading to learn how to deal with bad reviews and protect your business’ reputation. There are many business rating and review platforms: Yelp, Better Business Bureau, Angie’s List, Glassdoor, Google Reviews, Facebook, just to name a few. Your customers, employees (Smart Circle reviews on Indeed is a good example of workers airing their experiences), and literally anyone who knows your business can leave a review on any of these platforms. If you’re not paying attention, bad reviews can pile up unnoticed and gradually harm your business. This is why you need to deploy a review monitoring tool. It’ll track mentions of your business on the web and let you know when someone has left a review. You can then take the necessary remediation step. Online, especially on social networks, a small comment can quickly go viral. If the comment has a negative message about your product or business, your brand can suffer irreparable damage. It’s for this reason you need to issue quick responses to bad reviews. Although about 52 percent of customers expect a business to respond to a negative review within a week, don’t take that long. Ideally, you should respond on the same day somebody posts a bad review. If the platform allows you to post a response, take the opportunity to reach out to the reviewer and offer an appropriate explanation. This shows that you care about your customers and are willing to make things right. That said, not all reviews warrant a quick reply. Some reviews might need you to investigate and gather facts before issuing a response. As a small business owner, you have a lot on your plate. You probably no time to monitor your business’ online reviews and deal with the negative ones. And if time isn’t a problem, you might not have the expertise to put out the fires without creating new ones. Here is where an online reputation management agency comes in handy. Sure, it’ll cost you money to outsource the task, but you’ll rest assured knowing your business’ reputation is in the hands of the experts. Plus, the return on investment is worth it. An agency will work to ensure your business attains a positive reputation, which is crucial for customer attraction and retention. Ultimately, you’ll make more sales and increase your profits. Earning reviews is a necessary part of doing business in the digital age. However, bad reviews can hurt your brand and get in the way of customers who want to do business with you. The good news is you can deal with them and mitigate their consequences, and we’ve just taught you how to pull it off. Stay high on alert and don’t forget to explore our site for more SEO and social media insights.